MOSCOW Russia's law banning gay "propaganda" for minors won't infringe on the private lives of athletes and spectators at next year's Winter Olympics in Sochi, the country's sports minister said Sunday. But Vitaly Mutko's comments on the final day of the athletics world championships leave it open as to whether Olympic athletes and fans could be subject to prosecution if they make statements that could be considered propaganda. "We want to protect our children whose psyches have not formed from the propaganda of drug use, drunkenness and non-traditional sexual relations," Mutko said. "I can say once again that the freedoms of Russian and foreign athletes and guests who come to Sochi will be absolutely protected," Mutko said. However, the law reflects widespread animosity toward homosexuals in Russian society and its vagueness troubles many. The law penalizes anyone who distributes information aimed at persuading minors that "nontraditional" relationships are normal or attractive, but does not define what would be considered information or distribution. It appears possible that anyone wearing a rainbow flag on the street or writing about gay relationships on Facebook, for instance, could be accused of "propagandizing." Green Tregaro's gesture, which she said was aimed at promoting tolerance, prompted a complaint from Russian pole vault star Yelena Isinbayeva that she was disrespecting Russia. After officials from the IAAF, the sport's governing body, said the gesture could be a violation of the competition's code of conduct, Green Tregaro appeared in Saturday's final round with red nails. Two-time Olympic figure skater Johnny Weir told CBSNews.com's Brian Montopoli that he considers Russia to be "the most magnificent place in the world" but is concerned that "in Russia, just the sheer fact that you could be gay, you can get arrested, fined, and it's a terrible thing to even think of." 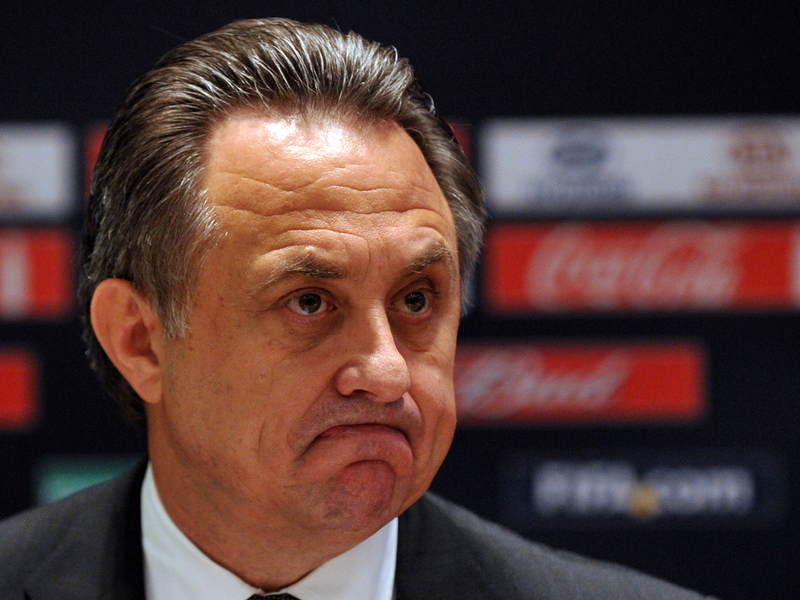 "In my view, Western media, media outside Russia, give more attention to this than we do in Russia," Mutko said.